Juventus midfielder Sami Khedira conceded they were second-best to Atalanta and deservedly paid the price for it. Massimiliano Allegri’s side fell to their first domestic defeat of the campaign by losing 3-0 in Bergamo to Atalanta on Wednesday night to end their hopes of a fifth successive Coppa Italia crown. 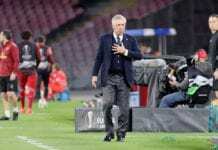 Even with the likes of Cristiano Ronaldo and Paulo Dybala in the starting line-up, Juventus were unable to threaten an Atalanta side that were clearly at the top of their game in front of their home supporters for the quarter-final tie. Right-back Timothy Castagne gave Atalanta the lead in the 37th-minute with Colombian forward Duvan Zapata then doubling their advantage before the break and then sealing the victory by adding a second goal late on. Juventus had chances though to get back into the game in the second half with Khedira’s volley representing their best chance in scoring. But the former Real Madrid star saw his effort denied superbly by Atalanta goalkeeper Etrit Berisha. Speaking after their quarter-final exit, Khedira acknowledged that the best team won on the night. “It’s difficult and sad to lose like that, but it’s part of football and we have to accept it,” said Khedira on the club website. Despite the setback, Khedira urged the team to bounce back and return their focus back to the Serie A. “These games can happen over the course of the season,” he said. “Of course, it hurts more when it’s a sudden-death game, but it won’t have any consequences for our league campaign. Juventus will next take on Parma on Saturday in Turin for a Serie A match.